Money can’t buy you happiness but it can buy you chocolate, which is a pretty good substitute, especially for a self-confessed chocoholic like Patricia Farrell. Patricia, pictured left, and her husband Con were both working in the Burren Visitor Centre in the late 1990s when they had the idea of setting up a business that sold food souvenirs to tourists. 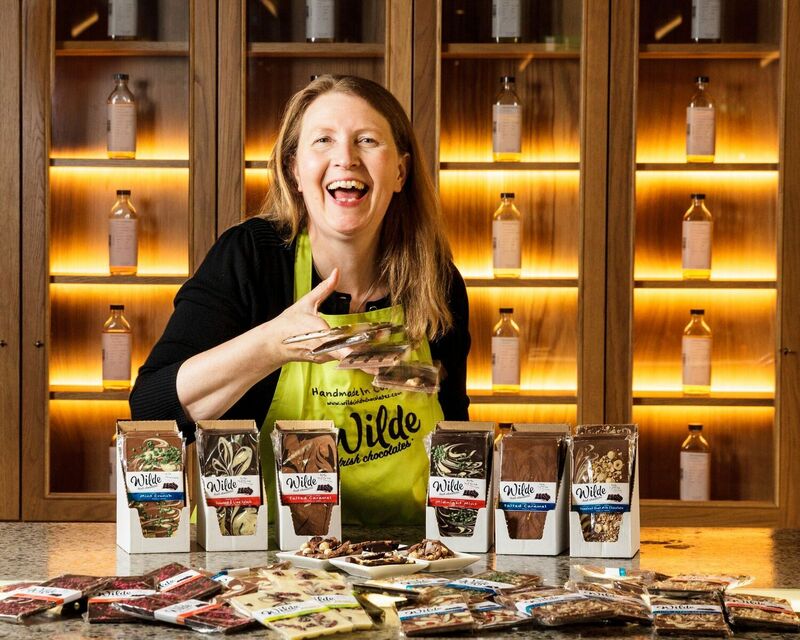 They set up Wilde Irish Chocolates in 1997 and today you can taste 22 years of joy in their handmade fudge, artisan bars, choc drops, boxes of luxury chocolate assortments, and chocolate spreads. 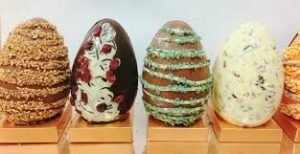 Wilde Irish Chocolates has over 50 chocolate varieties on offer at The Limerick Chocolate Shop in the Milk Market. 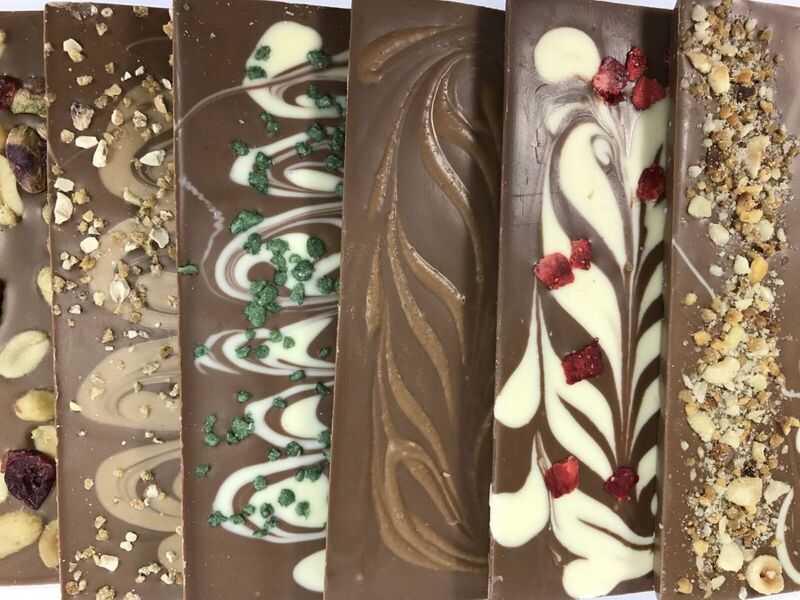 Open Fridays (11am-3pm), Saturdays (8am-3pm) and Sundays (11am-3pm) at the Milk Market, all their chocolate varieties are handmade in their artisan chocolate factory in the village of Tuamgraney, in East Clare. 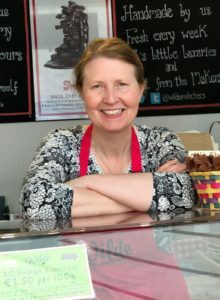 “Myself and my husband, Con, were working in tourism and we began to think about combining chocolate and tourism. This was really before the internet, so we had to buy books and go to the library to find out first of all how to start your own business. All the advice was that you should stick to what you know and what you are passionate about, so being a chocoholic I decided that was the way to go. So, we set up Wilde Irish Chocolates in 1997. It was another year before we actually sold anything. We had to learn how to make chocolate first,” Patricia said. Patricia at the Chocolate Factory in Tuamgraney, East Clare. “We started out in our own kitchen in a small cottage that we lived in before we had children. I remember the kitchen being tiny and we had a small banjaxed fridge but we taught ourselves how to make chocolate in different shapes and sizes. Of course, you can’t just sell to the public from your kitchen, so once we knew what we were doing we got ourselves a proper food unit in this little building in Tuamgraney in County Clare. We turned it in a chocolate factory and today people come from all over to visit it. 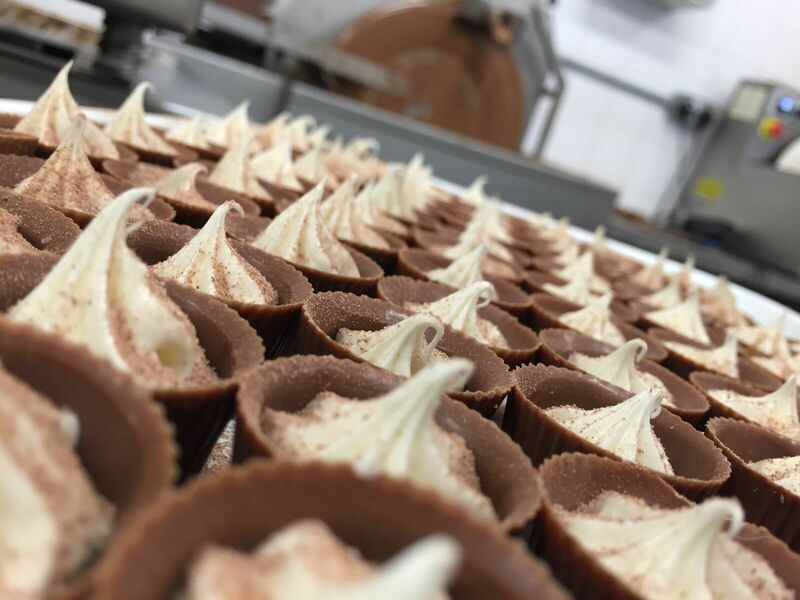 People come expecting to find Willy Wonka but it’s just us and no Oompa Loompas, but the visitors love the experience and seeing chocolate handmade. “We went into Limerick Milk Market about 15 years ago and we used to have to take a stall in whatever corner you were offered and work from there. Then we got a permanent pitch beside Kiely’s Garden Centre and we spent several years there, setting up in the cold at 5.30am every Saturday before a permanent unit came up and The Limerick Chocolate Shop was formed. 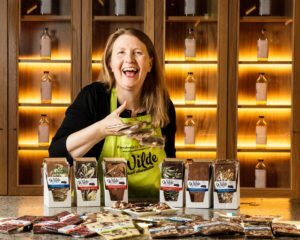 “We could have called it Wilde Irish Chocolates but after all those years working with Limerick people and having Limerick customers we wanted to have Limerick in the name. We already had a shop in Doolin which was called the Doolin Chocolate Shop and now we have a shop in Dingle as well, so while we no longer just sell to tourists, we have almost come full circle in that we have shops in popular tourist destinations where we sell tourist-tailored items like our Fungi shaped chocolate in Dingle, for example. “Limerick Milk Market is definitely one of those destinations that tourists and locals alike love – it’s an institution and I would like it be celebrated and supported more because it really is something that Limerick can be really proud of. “Tourism is so important to so many businesses in the mid-west and I often think we sometimes don’t appreciate just how important the Milk Market can be in drawing visitors to Limerick. It’s such a great Limerick institution where you have all these wonderful artisan food producers under one roof. If you went abroad and came across something like this you’d be raving about it and rightly so. There is literally something for everyone at Wilde Irish Chocolates – dark chocolate, milk chocolate, sugar-free chocolate, white chocolate, you name it, you’ll find it. 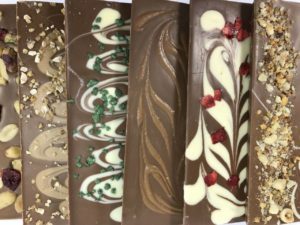 How about a Berry Nut Trio milk chocolate bar, a chilli kiss bar, cranberry dark chocolate, dark chocolate salted caramel, dark chocolate seaweed and lime oil splash, hazelnut and raisin, Irish cream liqueur milk chocolate, Irish whiskey truffle, Lavender and rose, midnight mint, mint crunch, orange and almond, or strawberry sprinkle? For €4.50 you can choose from an exhaustive range of chocolate bars that would make Willy Wonka blush. If chocolate bars are not your thing, there’s buttons or boxes of assorted chocs available too, as well as a range of white, milk and dark chocolate praline spreads.